Si pasas por allí es una buena excusa para un inmejorable homenaje. IF YOU WALK AROUND THERE IT IS A GOOD EXCUSE TO HAVE AN UNBEATABLE TRIBUTE. 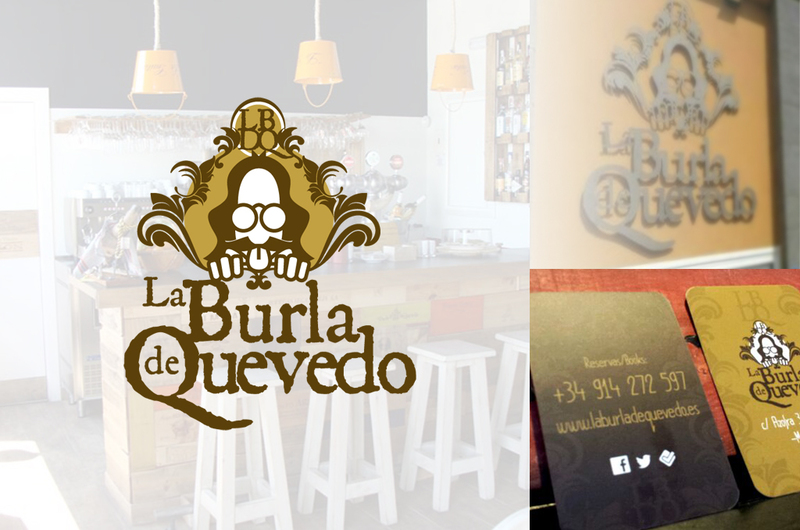 In Las Tablas in Madrid, you’ll find a unique restaurant: La Burla de Quevedo. Besides the decor, the tables are pallets with lamps made of cubes of chamomile, the cuisine shines. Estudio Rana designed the logo, menu cards and all other customer material. if you are interested in trying the food, we recommend you reserve a table early, becuase it’s usually filled and don’t miss the boneless suckling pig cooked for seven hours over low heat. The Basque cuisine is a real treat.